October inflation stays at 2.4% – what does it mean for your savings? 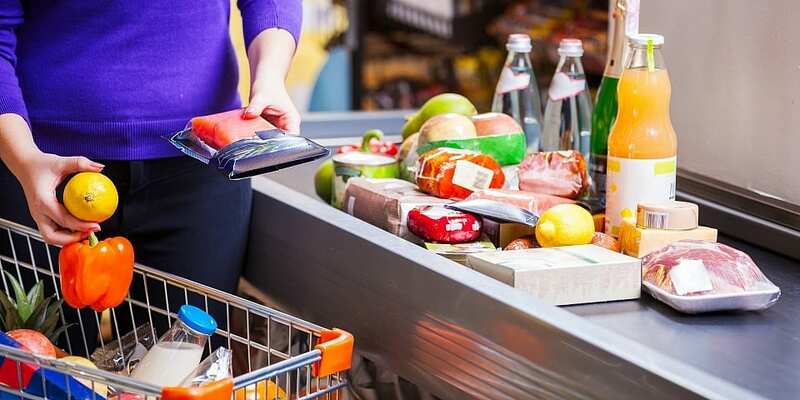 The Office for National Statistics (ONS) has just revealed that the UK Consumer Prices Index (CPI) measure of inflation remained unchanged at 2.4% in October 2018. Which? explains why inflation has stagnated, and what effect it could have on your savings. Why has inflation stayed the same? CPI inflation tracks the cost of an imaginary ‘shopping basket’ of more than 400 commonly-purchased goods and services, such as flights, fuel, alcohol, clothes and even gym leggings. The figures show how much the overall price of this basket has gone up or down since the same time the previous year. The main factors influencing October’s inflation figure are rising transport costs, which jumped 5.3% in the past year. Housing and household costs also increased, especially the price of utilities. By comparison, the cost of clothing and footwear has fallen since October last year. As the graph shows, inflation has hovered between 2-3% for most of the year. The Bank of England is responsible for keeping inflation as close to 2% as possible, and adjusts the base rate to help hit this target. In theory, when the base rate rises, so do rates for loans and mortgages, as well as savings. By having to spend more to repay debt and being rewarded by saving, it should mean people are less inclined to spend money on goods and services, keeping prices down. Despite two base rate rises this year, there has been little change in inflation. If your savings are in an account that doesn’t match or beat the rate of inflation, you’ll be losing money in real terms when it comes to spending it. As an example, say you have £100 of savings that you leave in a bank account that doesn’t pay any interest for a year. In that year, your £100 balance will have remained at £100. But, what you can buy with that £100 will have changed over the course of that year. A TV that was worth £100 when you first saved the money will likely have gone up by the rate of inflation by the time you take the money out, meaning you can no longer afford it. But, if your money had been in an account that matched or beat the rate of inflation, your £100 would have increased, and you’d still be able to afford that TV. So, if your savings account is currently paying less than 2.4%, you might want to consider switching. At the moment, inflation-beating rates are only offered by longer term fixed-rate savings and cash Isa accounts. The table below shows the top-rate fixed-term and instant-access savings accounts and cash Isas. There are three accounts that can match or beat the current rate of inflation. The links take you through to Which? Money Compare. Which savings account is best for you? As the table shows, the top-rate savings accounts significantly outstrip interest rates offered by cash Isas – to the point where you can currently earn more interest by putting your cash in a savings account for one year (My Community Bank 12 months fixed-term deposits) rather than if you locked up your money for three years in a cash Isa. Cash Isa rates and short-term savings accounts have hit their highest point since January 2016 – but to beat inflation you’ll still have to lock your money away for at least three years. But, before deciding to do this, you should factor in whether you’ll be able to commit to a fixed-term bond. These types of accounts will either stop you from withdrawing any cash during the term, or you’ll face an interest penalty if you’re permitted to make a withdrawal, sacrificing a large proportion of the interest you would have earned. There’s also the required minimum initial deposit to bear in mind. The top-paying fixed-term accounts in the table all require you to pay in at least £500 – more commonly it’s £1,000, but Shawbrook Bank and Sainsbury’s Bank both require £5,000. If you have a small deposit, these accounts could be out of reach, especially if you can’t access the money for several years. For those with higher salaries and larger savings pots, a cash Isa could still be beneficial. Despite the lower interest rates, these accounts do have the advantage of remaining tax-free, whereas money held in savings accounts counts towards your personal savings allowance. If you’re a basic-rate taxpayer, this means your savings can earn up to £1,000 before tax. But, if you’re a higher-rate taxpayer the allowance is just £500, and additional-rate taxpayers are taxed on all savings income. Money saved within an Isa wrapper is free of any of this kind of tax. Coventry Building Society has recently released two new savings accounts that give a little something back. The Centenary Poppy fixed Isa and Centenary Poppy bond are five-year fixed-term products marking the centenary of the end of the First World War by paying 0.15% of the total balances invested by 31 December to The Royal British Legion. The cash Isa pays 2.10% AER, which is 0.15% less than the top-rate equivalent in the table. The fixed-rate bond also pays 2.10% AER, which is 0.61% less than the current top-rate account – and the same rate as the top-rate one-year fixed-term bond account offered by My Community Bank. Both accounts require a minimum initial deposit of £1, and allow you to make withdrawals before the term is up. But you’ll lose 180 days’ interest on the amount you withdraw. Should I save this way? Despite the charitable premise of these accounts, you might actually be better off saving in an account that pays more interest and making a donation to The Royal British Legion yourself. For instance, if you have £1,000 to save and you’re happy to lock it away for five years, saving in either of the Poppy products would mean £1.50 is donated on your behalf. After five years, your savings would be worth £1,109.50. But the top five-year account from Secure Trust Bank, you’d finish the term with £1,143.04 – leaving you in a much better position to make your own, larger donation to the charity. Alternatively, you could also just save for a year in the one-year fixed-term savings account from My Community Bank, where your £1,000 would earn £21 – still a much larger sum of extra money that you could choose to donate to The Royal British Legion. RCI Bank’s Freedom Savings Account pays 1.37%, you can have unlimited instant withdrawals and there’s a minimum deposit of £100. Leeds Building Society’s one-year fixed-rate Isa also requires a minimum deposit of £100, it pays 1.51% AER, and the bank has been rated highly for its interest rate information. It’s three-year fixed-rate Isa pays 1.80%, while its five-year fixed-rate Isa pays 2.05% – both with the same minimum initial deposit. There’s also the Leeds Building Society Limited Issue online access Isa, which pays 1.38% AER on a minimum initial deposit of £1 – this is an instant-access account, and you can make unlimited withdrawals. Elsewhere, Skipton Building Society offers a five-year fixed-rate cash Isa, with 2.01% AER and a £500 minimum initial deposit. The bank has been rated highly for customer service.